Providing you the best range of watch bracelet holder, jewellery equipment case opener for watches, jewellery tool pocket watch case opener, jewelry equipment watch case opener knife and precision jewelry dies with effective & timely delivery. Backed by huge business indulgent, we are committed to offering a broad collection of Single Watch Holder. Properly designed by trained experts using quality accepted raw material and latest tools, this holder is accessible in various measurements. 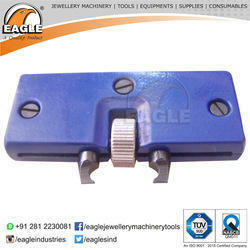 We are one of the leading organizations of optimum quality range of Jewellery Equipment Case Opener for Watches. With the help of the state-of-the-art techniques, the provided opener is manufactured under the surveillance of our deft professionals using superior quality raw materials. 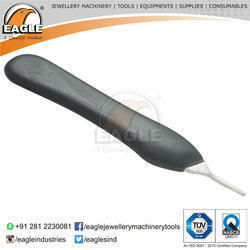 This opener is widely used to open the case of watch with accurately and rapidly. Besides, the offered opener can be easily availed from us in different specifications at economical rates. We are manufacturer of Jewellery Tool Pocket Watch Case Opener. 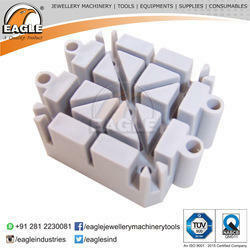 We are offering a wide range of Precision Jewelry Dies to our clients.